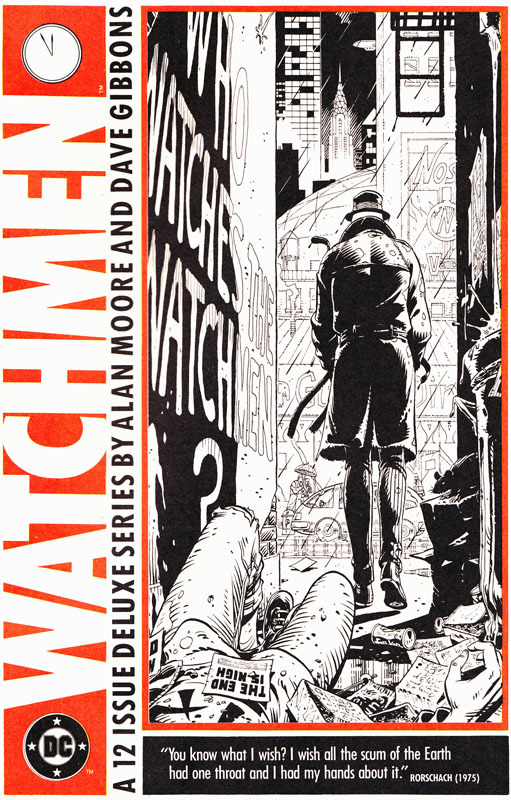 Gibbons’ art looks gorgeous in black and white; again, I’m tempted by the black and white version of Watchmen as I was when I found the last poster. The quote at the bottom didn’t sound familiar to me and a quick hunt around the net seems to confirm my suspicion that it’s original to the poster and echoes a famous line from Caligula . . . because, you know, that’s someone you want to emulate. which is pretty faithful to the original. And look at that release date – was it really nearly eight years ago? 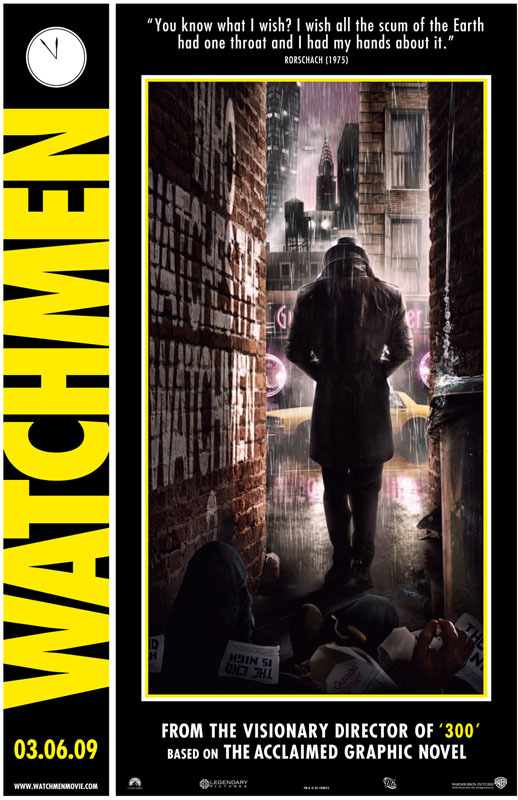 Posted on Monday, January 2, 2017 Monday, January 2, 2017 by GaryPosted in Film/TVTagged Watchmen. Next Next post: As True Today . . .